An offer is being negotiated for Rivers Bend, a 24-acre equestrian estate along the James River in Goochland County. Rivers Bend, a 24-acre equestrian estate along the James River in Goochland County, was supposed to be sold at auction this past Saturday. But the auction never happened. A prime piece of riverfront real estate in the heart of horse country is hitting the auction block this weekend. 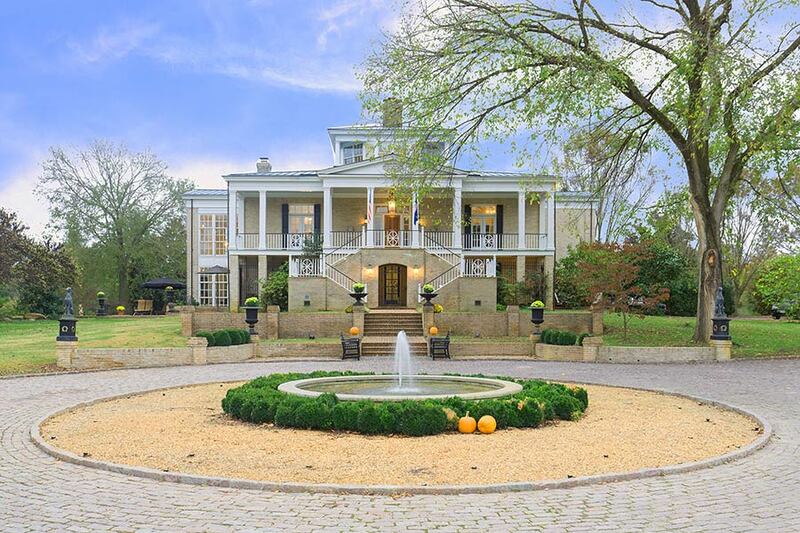 The 24-acre Rivers Bend estate, named for its location on a sharp bend of the James River southwest of Crozier, is set to go to the highest bidder in a public sale at 11 a.m. Saturday. Bidders vying for the property must register by 5 p.m. Friday with Miami-based Platinum Luxury Auctions, which is coordinating the sale for sellers Robert and Lynda Bloch. 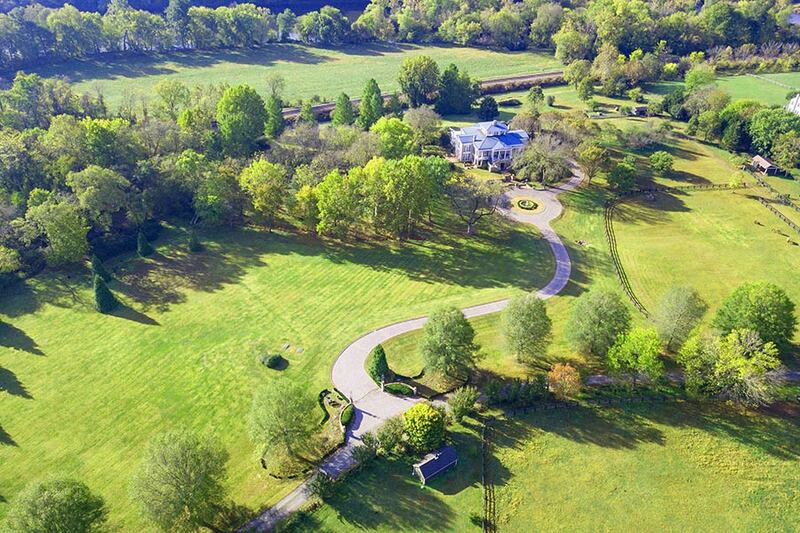 A 24-acre estate located just west of Richmond, Virginia will be sold at a live auction on November 18, 2017. The luxury property, named “Rivers Bend” by its owners, was once listed for $3.95 million, but will now be sold without reserve – meaning the property will sell to the highest bidder regardless of the amount of the high bid price. Platinum Luxury Auctions, a Miami-based luxury real estate auction firm specializing in the non-distressed sale of luxury properties on behalf of their owners, is managing the sale in cooperation with Virginia listing brokerage Joyner Commercial. The auction will take place on the property site, and bidders must register with Platinum in advance in order to attend. Deducing the origin of the name “Rivers Bend” does not require much guesswork: the property boasts more than 1,200 feet of frontage on the James River. Once a dedicated transport route for commercial cargo, today the river is largely used for recreation and leisure. A lovely, two-story residence featuring Palladian and Lowland architectural styles is the centerpiece of Rivers Bend. The home offers more than 6,900 interior square feet of living space, with 4 beds, 3 full and 1 half baths. A beautiful solarium with 22-foot ceilings serves as the focal point of the home, while additional features include a music room, study, home theater and chef’s kitchen. A large master suite is located on the entry level. The property’s 24 acres host several outbuildings, including a children’s playhouse (which has electricity), a tool house, and paddocks and shelter for horses or other animals. Two octagonal pergolas comprised of heart pine columns and redwood timbers echo the shape of the observatory that graces the top of the main residence. Landscaping features include a fountain, water garden, and koi pond in addition to a raised-bed, English vegetable garden, grape vines and an orchard with over 60 fruit trees including apple, cherry, pear, fig and stone fruit varieties. All plantings are maintained with an extensive irrigation system that utilizes water pumped from the Kanawah Canal. Rivers Bend is available for open house previews daily through November 17, between the hours of 12 and 5pm (ET). Additional information is available at VirginiaLuxuryAuction.com, or by contacting a member of the Platinum team at 800.656.6823. The historic “Able Morehouse” property in Redding, Connecticut has been sold as the result of a live auction held this past weekend, according to Platinum Luxury Auctions, the luxury real estate auction firm that managed the sale. Named after its original owner – who first built the home in 1768 – the property spent more than three years on-and-off the market searching unsuccessfully for a buyer, before being scheduled for a luxury auction® sale with Platinum. A total of five registered bidders participated in the auction, which was held on-site in the estate’s courtyard on the afternoon of October 28th. While the final sales price has not yet been disclosed, Platinum noted that the auction’s reserve bid of $1.25 million was exceeded. The high-end auction house conducted the sale in cooperation with William Pitt Sotheby’s International Realty, the listing brokerage of record. This sale represents the second consecutive historic home in Fairfield County sold by Platinum and William Pitt in 2017. 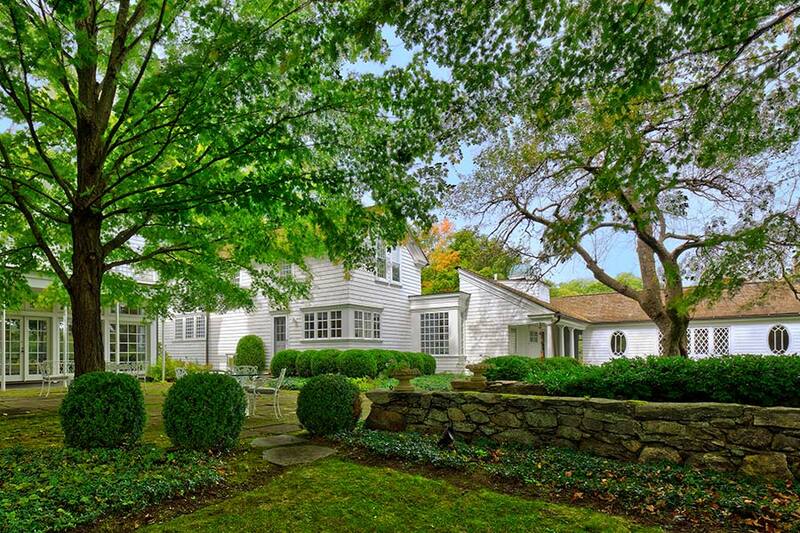 This summer, the firms sold the Sunset Hall estate in Ridgefield, CT for more than $3.65 million. “As these historic properties become more challenging to sell in today’s marketplace, we’re pleased that our process has proven to be a reliable sales and exit strategy for the sellers of these assets,” stated David Ashcroft, Platinum’s director of business development. Mr. Ashcroft added that Platinum has also sold other historic properties, such as its 2016 sale of a 115-year-old castle located about 40 minutes outside of Aspen, Colorado. Although nearly 250 years old, the Redding property has enjoyed significant improvements over the centuries. In 1902, it was acquired by Noble Foster Hoggson, a prominent New York architect who redesigned the house in his version of the Colonial Revival Style. In 2006, the current owners performed their own renovations, adding modern creature comforts. The estate’s two-story residence currently offers more than 6,300 sf of living space, with 6 bedrooms, 5 full and 2 half baths. Features include wide-plank hardwood floors, six fireplaces, central heating and cooling, and a spacious kitchen with butler’s pantry. Property grounds include 24 acres of beautiful lawns and gardens, in addition to a heated pool with pool house and an 8,000-sf, two-story barn. Ten of the estate’s 24 acres are protected under conservation, further ensuring its tranquility. Additional information on the sale is available at ConnecticutLuxuryAuction.com, or by contacting a member of the Platinum team at 800.262.5132.